(March 29, Colombo, Sri Lanka Guardian) President Mahinda Rajapaksa appeared to take a reassuring stance towards non-governmental organisations when he addressed editors of media organizations. The President said that the ongoing probe by the Criminal Investigation Unit of the Sri Lanka Police had nothing to do with politics or with suppression of dissenting views. On the contrary, he had said that the government had a right to ascertain how funds received from foreign countries by some NGOs had been spent as no organization was above the law. The last time that a government ordered an investigation into NGOs was when President Ranasinghe Premadasa appointed a Presidential Commission of Inquiry to look into the work of NGOs two decades ago in 1990. Although the government at that time claimed that they were investigating the NGO sector as a whole, it was evident that the NGO Commission focused their efforts on the Sarvodaya Movement led by Dr. A. T. Ariyaratne. 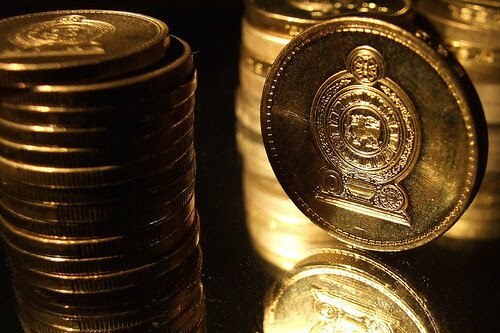 There was speculation that with President Premadasa systematically knocking out all his political rivals, he was merely ensuring that there would be no challenge from civil society either. It was with suspicion that the late President looked at the widespread grassroots network that the Sarvodaya Movement had developed over the course of its decades’ long service to rural people. At the same time, he sought to utilize its concepts, such as Village Re-awakening, pioneered by the Sarvodaya Movement. NGOs can expect a more understanding response from President Rajapaksa who has a track record of working in close collaboration with them. Law students in Sri Lanka who study constitutional law delve into the famous case of Rajapaksa vs. Kudahetti and Others (1992). This case filed in the Supreme Court gives details of how the President, who was then an opposition parliamentarian, was apprehended at Colombo’s international airport with his luggage containing documents relating to the enforced disappearance of persons to be submitted to the 31st Session of the UN Working Group on Enforced or Involuntary Disappearances. On that occasion, although Mr Rajapaksa was permitted to continue on his travels to Geneva, the documents he was taking with him were held back by the police personnel at the airport. This included information about missing persons and photographs, which the police considered documents which were likely to be prejudicial to the interests of national security and which were likely to promote feelings of hatred or contempt to the government, which was an offence under Regulation 33 of the Emergency (Miscellaneous Provisions and Powers) Regulations prevalent at that time. On his return to the country, the President-to-be took this matter to the Supreme Court on the basis that a number of his human rights had been violated. The heightening of controversy surrounding the work of non-governmental organizations at this time has arisen at the same time as the publication of details of funding received by NGOs active in the fields of human rights, anti-corruption and peace. A question that was posed was why they should be receiving so much foreign assistance for their work when the war has ended and there is peace. At his meeting with the media editors, President Rajapaksa said that the government had been compelled to make inquiries why three NGOs had received as much as Rs. 618 million after the end of the war while the country had not received anything in return. The implication is that the end of the war has obviated whatever need there was for the work of these NGOs. The three NGOs that the President was referring to, and which had been identified as the recipient of large foreign funding, were the Centre for Policy Alternatives, Transparency International Sri Lanka and the National Peace Council. When the President said that the country had not got anything in return for the funding they had received, he may have been referring to the absence of visible and material results, such as houses, wells and micro credit, for which some NGOs have become acclaimed. NGOs such as Habitat for Humanities is building hundreds of houses for the displaced people in the north with government support while the Sarvodaya Movement today is working in tens of thousands of villages where its water supply and micro credit income generating schemes have provided livelihood to tens of thousands of people. While it is true that NGOs such as the Centre for Policy Alternatives, Transparency International and the National Peace Council do not generally engage in activities where the output can be seen and felt or measured in terms of bricks and mortars, or income increased, this does not mean they do nothing. The financial accounts of these organizations are audited by internationally reputed audit firms working in Sri Lanka and made available to relevant government authorities. These three organizations are primarily involved in public education activities and work that involves changing attitudes, which are less visible, tangible and measurable. But the outcomes are real, even if not so readily visible, tangible and measurable. For instance, when the government decided to expel temporary Tamil residents from Colombo city on the grounds of safeguarding the city from terrorism, the Centre for Policy Alternatives filed legal action in the Supreme Court. As a result of the court order, the hapless Tamil residents were permitted to stay in Colombo while the government found less draconian methods of safeguarding the city from terrorist attack. This action of an NGO helped strengthen law and order and respect for the higher judiciary not only in Sri Lanka but also internationally. For its part, Transparency International has, among its many activities, conducted surveys of the general population ascertaining their views on corruption which the government could use to correct weaknesses that exist in the country. They also look to safeguard public property during elections. In these circumstances it is not reasonable to assert that these organizations do nothing for the country. What motivated the National Peace Council at its origins in 1995 and up to this date has been to support the efforts of successive governments to peacefully and politically resolve the ethnic conflict in the country without resort to war and terrorism. This requires the transformation of the hearts and minds of the people at large rather than of the elected representatives alone. The organization does not in any way seek to engage in any partisan political activity and is committed to work within the democratic framework alone. All the work that we do is transparent and in the public sphere. Throughout its years of existence, NPC has also been politically non-partisan, and its policy making bodies and staff are of diverse ethnicities, religions and political convictions. It has in no way supported the use of violence to win minority rights or any other rights. It is committed to non-violence. Most of NPC’s work is in the areas of peace education and advocacy. In the past two years its major projects have been in the areas of enhancing north-south inter-ethnic understanding and relations through exchange visits that have included schoolchildren from the north visiting the south and supporting child care in the north, enabling humanitarian solutions through multi-religious cooperation involving religious clergy, seminars on building peace through power sharing and devolution of power, seminars on living in a plural society, and holding trainings for university students and youth on non-violence using the example of Martin Luther King. Others activities have included programmes of Tamil language training for language teachers, publications on the importance of the 17th Amendment, Human Rights training manual for school children and advertisements in the mass media. So far it appears that only the National Peace Council has been subjected to the CID investigation. At the meeting with the media editors the President had asked why the NGOs were making an issue of being questioned by the police. The prevailing Emergency Laws and Prevention of Terrorism Laws in the country that continue to be extended by the government despite the end of the war, arm the police with extraordinary powers of arrest and detention. This creates apprehension in the minds of anyone who is summoned before them, even those innocent of any charge. The question is why the government did not use other means at its disposal to engage in fact finding in regard to the organization. It is a basic right in a democracy that citizens have freedom of association. They also have the right to obtain support for their work, their vision and ideals, so long as they are operating within the law. If they are to be investigated by the criminal investigation arm of the government there should be prima facie evidence of criminal activities on their part. If they are being investigated without such evidence or charge against them, it is suggestive of intimidation. The fact that President Rajapaksa worked with NGOs in the past as an opposition parliamentarian to promote human rights and good governance and even in opposition to governments, is the greatest reassurance to NGOs that his government will not be seeking to intimidate those organizations that are taking stances at variance with it on matters of national interest.